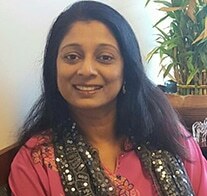 Dr. Jaimita Patel is originally from Gujarat, India. She received her Bachelor of Medicine and Surgery at Baroda Medical College of Maharaja Sayajirao University. After Medical School she worked as an Assistant Professor in the Department of Physiology where she enjoyed staying connected to medical students. In 2003 she began her residency at Mid-Michigan Medical Center through Michigan State University. After completion of her residency in 2006, she moved to North Carolina to begin work. She has practiced in Raleigh since 2010 and joined Raleigh Family Practice in 2016. Dr. Patel is a member of the American Academy of Family Physicians and the American Medical Society. She is board certified in Family Practice. She speaks English, Gujarati and Hindi. Dr. Patel enjoys cooking, hiking, making jewelry, and watching movies. She lives happily with her noble hubby and teenage son.